What is Psychic Research About? 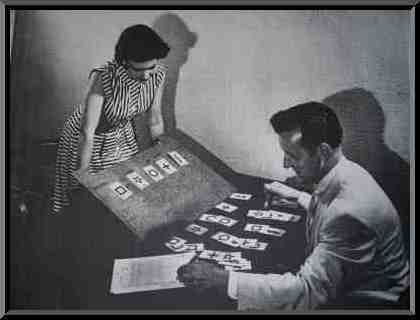 Psychic researchers are sometimes scientists or skeptics but there are also many with tales to tell of their own. After all, who is more interested in the sixth sense than those that have experiences of it themselves? The American para-psychologist, Stanley Krippner, became one of the leading psychic investigators in America. His prompting to initiate such an investigation came about when he was just fourteen years old. At that time he had been thinking of ways to buy an encyclopedia he very much wished to own. His parents had refused his request due to their limited funds at the time. It occurred him, whilst lying crying in bed, that perhaps his wealthy Uncle Max might be able to step in and help. All of a sudden he sat bolt upright in bed with shock with a singular thought clear in his mind, ‘uncle Max can’t help me because he’s dead’. The phone rang in the other room and shortly afterwards he heard his mother sobbing, it transpired that Max had been taken suddenly ill, had then been rushed to hospital where he has died. In my personal life I am familiar with similar accounts. A contact of mine had an experience that reminds me of the one had by Krippner, though arguably in the following instance the event was more intense as it included an additional type of supernormal phenomenon. The man in question is not one who would be quick to jump to fantastic interpretations. He is actually a former British army sniper and paratrooper, at one point a candidate for the SAS elite squad. He is very much a down to earth chap used to interpreting information in a logical, materialistic fashion. He explained to me that on one occasion he had been visited by the appearance of a close friend, this friend made it clear he was there to say good bye. The following day news reached him that the friend had indeed passed away, at the very same time of his strange visit. As something of follower of Buddhist philosophy I have occasion to chat with monks. On one occasion a Buddhist monk whom I was speaking to told me about a fellow monk who had these warning of death type experiences quite regularly. The monk in question would tell his Sangha brothers about people he knew were about to die. They asked him how he knew this. His explanation was that the shades of these people would come wandering through the woods near to where he ran the local charnel house and cemetery. Any spirit person the monk saw wandering past his place would announced to him that the physical body of that individual would shortly die and the body be brought to him. Thousands of people have similar experiences to that of Krippner, my ex-military contact, or indeed the Buddhist monk. By some psychic mechanism information is able to reach the human mind, despite not being encountered in any way through standard sensory interactions. The terminology commonly used in relation to such experiences is ‘extra-sensory perception’ (ESP). Over the last seventy or so years numerous scientific experiments have been conducted by researchers in almost every nation, always hoping to finally scientifically prove the existence of ESP. There are four psychic abilities from under the ESP heading that could be involved in how people such as those mentioned above might have received their privileged information. Telepathy – The mind of the individual links to the mind of another gaining privileged knowledge. Clairvoyance – Through psychic clear sight the individual has seen an image of an event at a distance. Precognition – The mind of the individual has traveled along the time line and gained information about an event existing in the future. Mediumship – The individual has the ability for communication with the dead person directly, gaining the knowledge of their death by communicating with the spirit now free of the body. The best psychic researchers that I know of are Professor Eysenck and Doctor Sargent. Both are highly respected scientists that decided to put their intellectual abilities together in an exploration of seemingly paranormal happenings. The result of this collaborative exploration was their excellent book ‘Explaining the Unexplained’, a book I have three copies of on my shelf just in case I should need to lend one out. In their work they list numerous experiments carried out and share analysis of the fascinating results. They also includes dozens of real life cases of supernormal happenings and people with seemingly genuine psychic powers. It is essential that when looking at the investigation of the many psychic means for attaining information that Dr Rhine gets a mention. 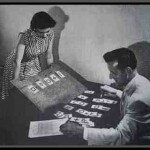 Once it became apparent that there were people for whom psychic occurrences were fairly common, researchers began to formulate methods to test these people. Dr Rhine was one of the true pioneers of psychic research. Based at Duke University, and sponsored by the head of the psychology department, Professor McDougall, he began to initiate experimentation. Rhine, essentially founded the science of parapsychology. It is perhaps for the tools of research that he invented that Dr Rhine is best known; his ‘Zener’ cards are legendary in the realm of psychic investigation. Many people will have seen them in films or television shows that deal with psychic abilities. Each card depicts a shape, typically a circle, a star, a cross, a square and a wavy line. The Zener card pack is shuffled by an individual deemed ‘the sender’, who will be stationed at a certain location. At another separate location an individual deemed ‘the receiver’ would then wait with the symbols in front of him lined out. The sender would pick out a card at random and then focus on it, the receiver would pick a card based on his feeling of what was being sent to him. The laws of chance dictate that any person can expect to get 5 out of 25 correct by normal means of guesswork. Although it is of course likely that one might get more than 5 correct it is assumed that he will also at other times get less than 5, thus an average will remain at 5. Early subjects included a man named Linzmayer who at times would score 100% accuracy; he also did well at predicting cards that were yet to be picked. Rhine’s work over 10 years showed that ESP was more than simply telepathy and lead to investigation of other psychic and supernatural abilities. Rhine’s work although unexpectedly very popular with the general public provoked a vehement backlash from members of the scientific community. It is a backlash that frankly has never ended, and has seen real venom from otherwise cool-headed scientists. The skeptics argued that there was fault with his laboratory procedures, Rhine satisfactorily dealt with this attack. It was then asserted that the error must be with the way he was analyzing and recording his statistical findings. This was silenced when the American Institute of mathematical Statistics issued a statement that Rhine’s methods had been investigated and were completely valid. The final onslaught was an accusation of cheating lodged against Rhine an another respected parapsychologist named Dr Soal. Price, a medical researcher, lodged his argument in no less a place than that highly respected journal, ‘Science’. Rhine however calmly entered into correspondence with his accuser. The result was that some fifteen years later an article appeared in science titled, ‘Apology to Rhine and Soal’. It must be said though that later it was shown that Soal unlike Rhine, had at times doctored some of his own results and as such, despite other genuine work he did, he has since been largely discredited. His work is thus no longer admissible to the great mound of documentation of evidence in these subjects. Although psychic researchers can´t always bring about demonstrations of psychic abilities to order whenever they wish, their laboratory investigations still provide us plenty of data suggesting ESP to be a very real collection of phenomena. Some of these researchers even hold out the hope that one-day all people on earth may be able to use psychic powers at will.